A uniquely beautiful Coffee Table with a fun design and stylish Oak legs contrasting the chic Black Glass top. 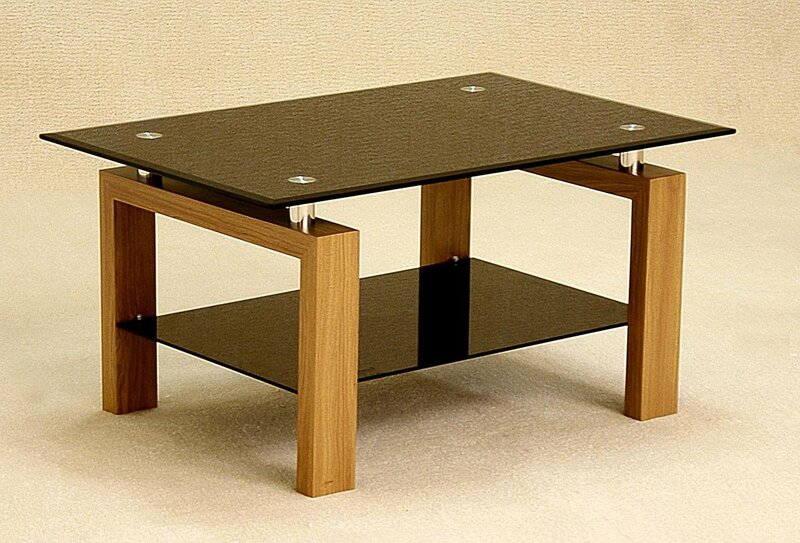 This Coffee Table would suit any modern home looking for elegance with a modern twist. With a wide Black Glass Top and shelf, storage is not an issue. Elegantly simple but with a distinctly modern design, this Coffee Table is functional but also gives your Living Room a personality.